Uber paid hackers $100,000 to keep secret a massive breach last year that exposed the personal information of about 57 million accounts of the ride-service provider, the company has said. Discovery of the US ride-sharing app developer’s cover-up of the incident resulted in the firing of two employees responsible for its response to the hack, said Dara Khosrowshahi, who replaced co-founder Travis Kalanick as CEO in August. The breach occurred in October 2016, but Khosrowshahi said he had only recently learnt of it. The stolen information included names, email addresses and mobile phone numbers of Uber users around the world, and the names and licence numbers of 600,000 US drivers, Khosrowshahi said. Uber passengers need not worry as there was no evidence of fraud, while drivers whose licence numbers had been stolen would be offered free identity theft protection and credit monitoring, Uber said. Two hackers gained access to proprietary information stored on GitHub, a service that allows engineers to collaborate on software code. There, the two people stole Uber's credentials for a separate cloud-services provider where they were able to download driver and rider data, the company said. A GitHub spokeswoman said the hack was not the result of a failure of GitHub's security. Regulators in Australia and the Philippines said on Wednesday they would look into the matter. Uber is seeking to mend fences in Asia after having run-ins with authorities, and is negotiating with a consortium led by Japan's SoftBank Group for fresh investment. SoftBank declined to comment. Uber said it had fired its chief security officer, Joe Sullivan, and a deputy, Craig Clark, this week because of their role in the handling of the incident. Sullivan, formerly the top security official at Facebook and a federal prosecutor, served as both security chief and deputy general counsel for Uber. Sullivan declined to comment. Clark could not immediately be reached for comment. Kalanick learnt of the breach in November 2016, a month after it took place, a source familiar with the matter said. At the time, the company was negotiating with the US Federal Trade Commission over the handling of consumer data. A board committee had investigated the breach and concluded that neither Kalanick nor Salle Yoo, Uber's general counsel at the time, were involved in the cover-up, another person familiar with the issue said. The person did not say when the investigation took place. Uber said on Tuesday it was obliged to report the theft of the drivers' licence information and had failed to do so. Although payments to hackers are rarely publicly discussed, US Federal Bureau of Investigation officials and private security companies have said that an increasing number of companies are paying criminal hackers to recover stolen data. "The economics of being a bad guy on the internet today are incredibly favorable," said Oren Falkowitz, co-founder of California-based cyber security company Area 1 Security. Uber has a history of failing to protect driver and passenger data. 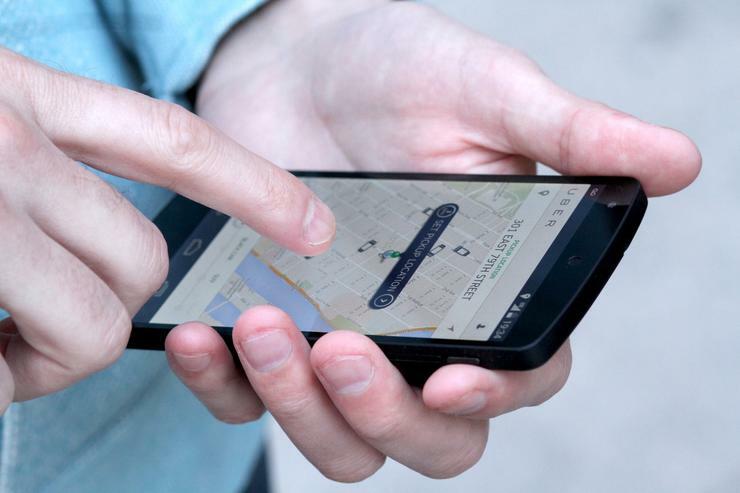 Hackers previously stole information about Uber drivers and the company acknowledged in 2014 that its employees had used a software tool called "God View" to track passengers. Khosrowshahi said on Tuesday he had hired Matt Olsen, former general counsel of the US National Security Agency, to restructure the company's security teams and processes. The company also hired Mandiant, a cybersecurity firm owned by FireEye to investigate the breach. The new CEO has travelled the world since replacing Kalanick to deliver a message that Uber has matured from it earlier days as a rule-flouting startup. "The new CEO faces an unknown number of problems fostered by the culture promoted by his predecessor," said Erik Gordon, an expert in entrepreneurship and technology at the University of Michigan's Ross School of Business.